Hoping one of you can jog my memory. I'm pretty sure there is a pack of bald guys in overcoats with guns out there, in 28mm – they might have been wearing glasses? Think Judge Dredd/Blade Runner sort of feel. I think Copplestone had some in "Street violence" IIRC. Look like bikers. That's them, Boris!!! Thank you kindly – this is why I love TMP. Paul and Paul, excellent pointers there as well. Much appreciated! There's also the Delaque gang in Necromunda that more-or-less matches your description. 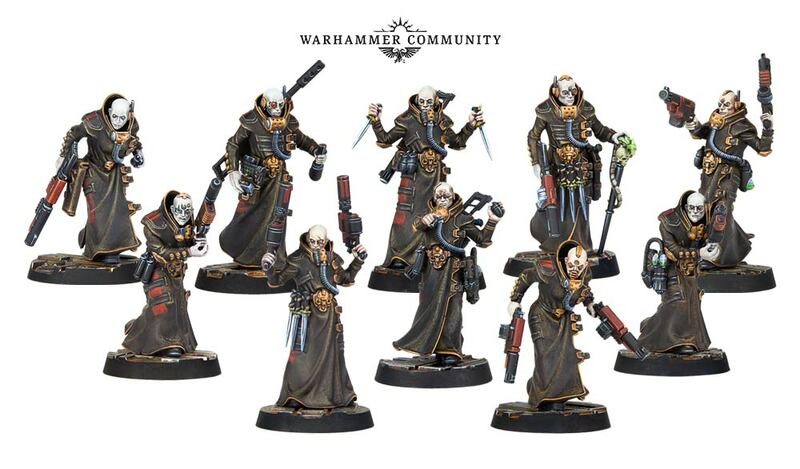 Are you not thinking of the old GW Necromunda – House Delaque?